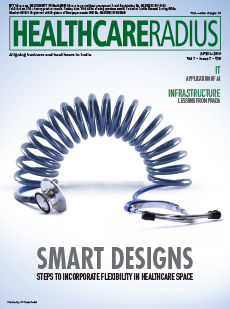 Launched in September 2012 by ITP Media India, Healthcare Radius is a monthly publication for Indian healthcare professionals. We highlight best business practices, analyse key trends and outline business moves and drifts of healthcare majors across the country. We are the industry's platform for debate and its guide to the latest and most promising trends in planning, strategy, technology and management practices.